An Australian woman who left the country to join ISIS in Syria has revealed she doesn’t regret living under the Islamic State and has no plans to return to home. Janai Safar, 24, vowed never to return to Australia where she says there are ‘naked women on the streets’ and she could face ten years in jail. The mother-of-one, who was a nursing student in Sydney before leaving the country in 2015, was tracked down and interviewed by The Australian on Monday in Kurdish refugee camp, Roj. She told the publication she refuses to raise her son, two-year-old Uthman, in a non-Islamic country and fears he could be taken away from her upon her return. ‘It was my decision to come here to go away from where women are naked on the street. I don’t want my son to be raised around that,’ she said. Ms Safar appeared to refer to the Australian law which means anyone who travels to an ISIS territory can be given a ten-year sentence. She explained she and her cousin, who she only identified as Aylam, met their husbands when they moved to Raqqa between 2015 and 2017. They made the decision to join the jihadi group after watching material online and ‘studying’ together and then fled without telling their families. ‘I don’t regret coming to Syria. I don’t regret living under ­Islamic State. I didn’t tell my husband I was leaving,’ she added. The two women are believed to have ties to ISIS commanders who were accused of plotting a bomb attack on an Australian flight in 2017. 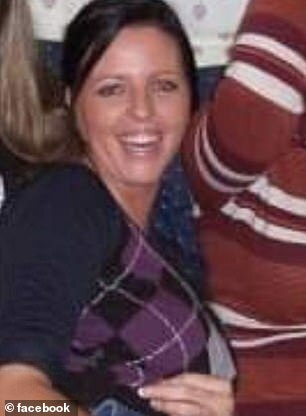 She did not go into further detail other than saying he was a Lebanese Australian who had died in a car crash a year ago. Ms Safar revealed she, her cousin, and her cousin’s husband left the Islamic State after they were told to leave Raqqa during an attack in 2017. They were caught by Kurdish officials and put in a refugee camp, while her cousin’s husband faces the death sentence in Baghdad. When her husband was caught, Ms Safar said her cousin was sent back to the Islamic State for an exchange, and now believes she was killed in a bombing. The woman’s father, Samer, who described ISIS members as ‘crazy,’ said his daughter is ‘stubborn’ but ‘kind-hearted’. ‘I asked her a few times to come back. She said, “Dad, I’m here in jail. If I go back, I’m going to be in jail. What’s the difference?”‘ he told The Australian. 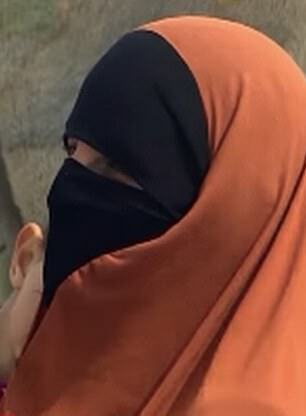 Ms Safar appears to be one of the few defiant jihadi brides who have chosen to stay as part of the Islamic State, while others have expressed regret in joining. 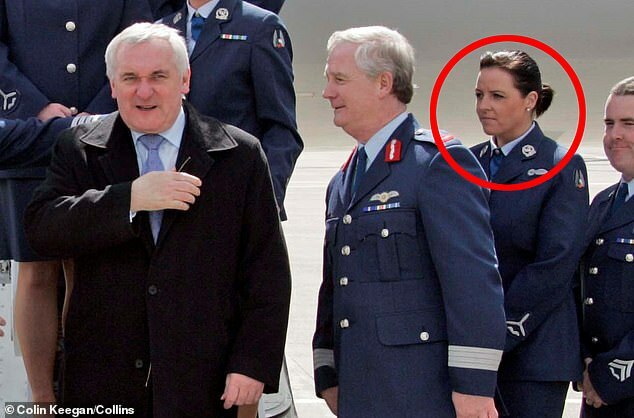 Lisa Smith, a former Irish soldier who fled her country to become an ISIS bride revealed she wanted to return home this month. The 37-year-old lost her husband and is currently living in the al-Hol refugee camp in Syria with her two-year-old daughter. Teenage jihadi bride Zehra Duman, who fled Melbourne to fight with the Islamic State in Syria in 2014, is now begging to come home, claiming her two children have the right to be treated like any other ‘normal kids’ in Australia. At the time Duman told Daily Mail Australia: ‘All you have to know is that the next time I will ever step into Australia, is when we come and make it a part of the Islamic State bi’thnillah. The defeat of ISIS last year has displaced thousands of jihadi brides, many of whom are now in refugee camps in Syria. Hundreds of babies have died and the woman said her two-year-old son and six-month-old daughter are sick and malnourished. 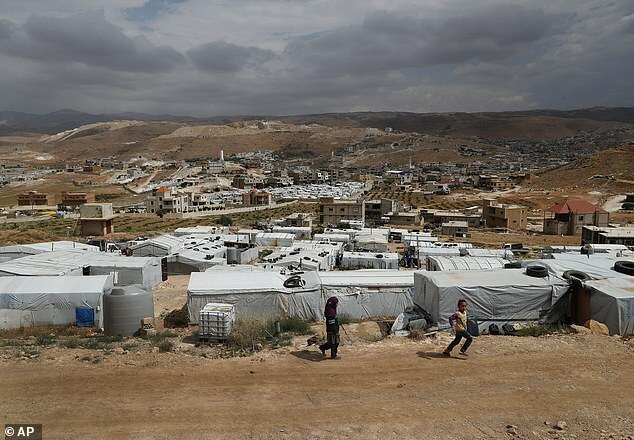 ‘I have no money, I’m not allowed to have money, they don’t give us food here and they don’t let us contact our families,’ she said in a video at Al Hawl refugee camp that was sent to the ABC. 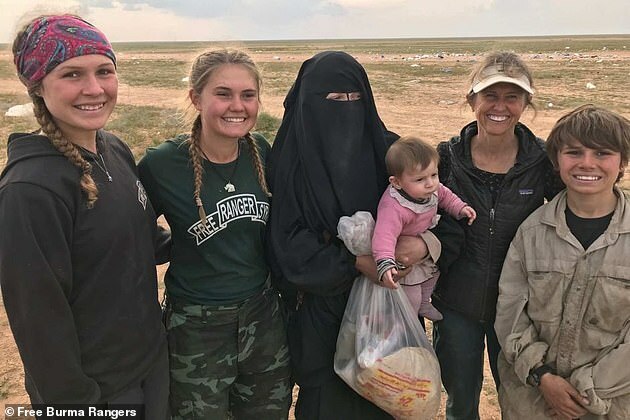 The woman, 24, claimed she has been trying to leave ISIS for two years but could not because she had no money and would get killed if she were caught. 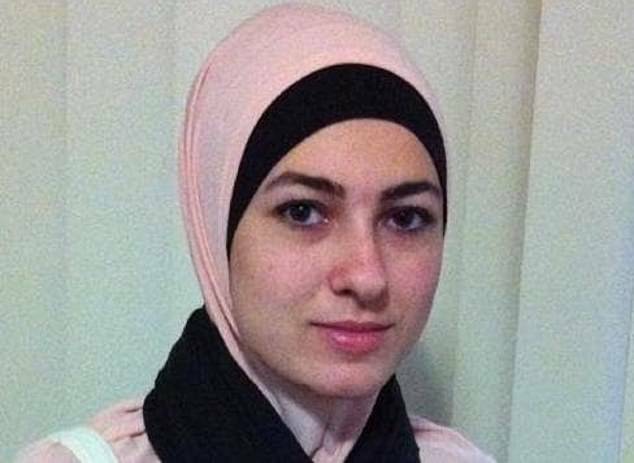 Duman, a former student at Isik College Keysborough, hit headlines in Australia when she fled in 2014 to marry Mahmoud Abullatif, a former Melbourne party boy-turned Muslim extremist. Her father, Davut Duman, said his daughter, who became a successful ISIS recruiter, had been ‘brainwashed’ and that he desperately wanted her home. When Abullatif died in battle five weeks after their wedding, Duman remarried and had two children with her second husband who also later died. In 2015, a Twitter account believed to be run by her under the name Umm Abdullatif showed pictures of ISIS women carrying assault rifles and standing next to luxury cars. 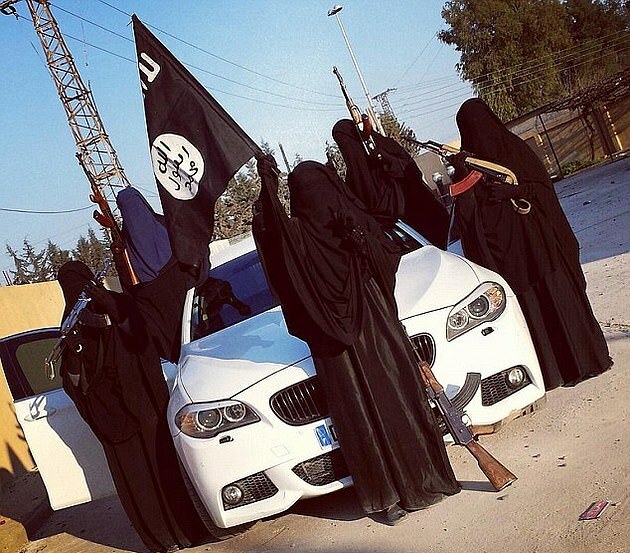 Photographs posted to a Twitter account believed to be hers showed several women standing under an Islamic State flag. 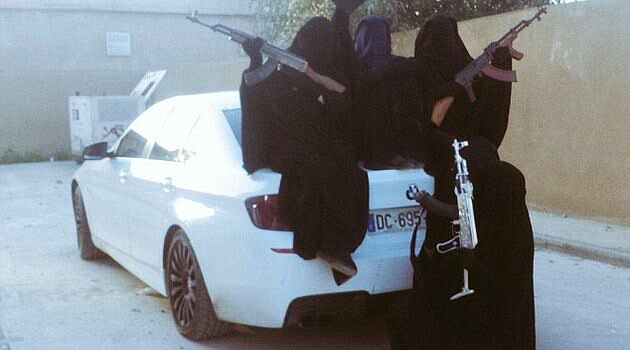 They reclined against a clean white BMW M5, wielding machine guns and dressed from head to toe in black Islamic dress. In 2018 ISIS was finally defeated after several years of fighting in Iraq and Syria. The defeat displaced thousands of jihadi brides who had fled their home countries to join the fight and marry ISIS soldiers. 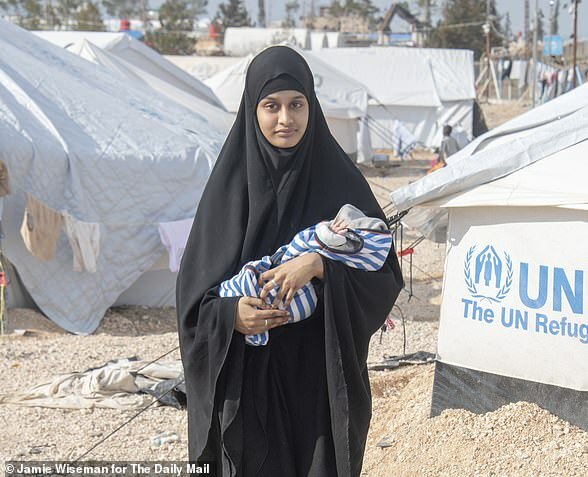 In February former London schoolgirl turned ISIS bride Shamima Begum was tracked down to a the Al-Hawl refugee camp in north-eastern Syria. In an interview with The Times, the 19-year-old demanded to be allowed home to Britain for the sake of her unborn baby son, Jerah. Her family announced the boy’s birth on February 17 and said they believed he was ‘in good health’. But Jerah died aged 18 days old last week after suffering pneumonia. Ms Begum said two of her other children had also died in Syria. She was moved to another camp after she was threatened by other IS wives for revealing her face during Press interviews. The British government stripped Miss Begum of her British citizenship. It said it was able to do so because she also held a Bangladeshi passport.